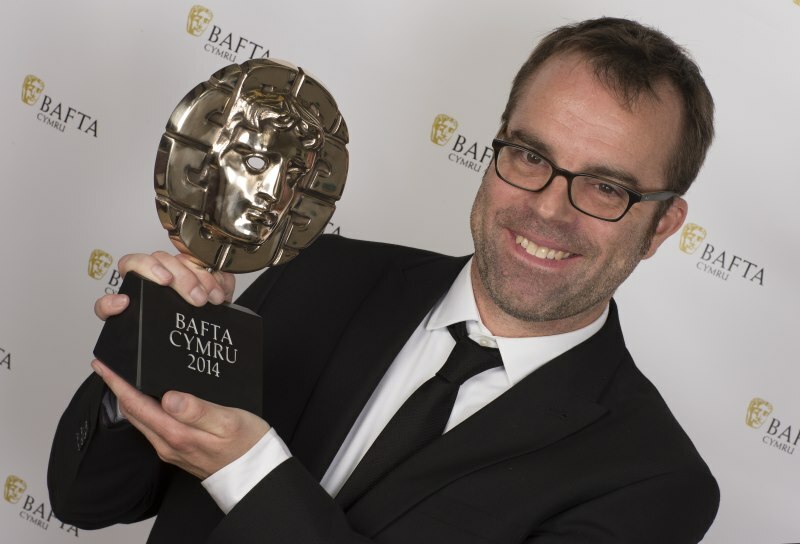 Chris Forster, the Director of The Portrait, receiving the BAFTA Cymru Award. Produced by Clive Myer, Lynda Myer-Bennett and Katie Holly, The Portrait is a short and powerful drama by the film making partnership of Chris and Ewan Forster (director and writer respectively). 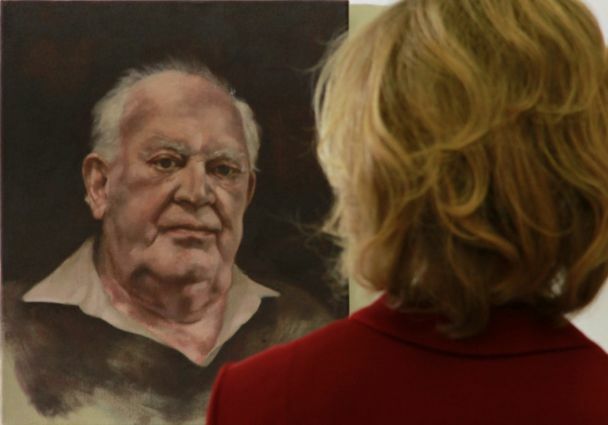 When a young art student paints a portrait of her ageing grandfather, her mother is forced to confront a past she had been trying to forget. A co-production between Eclectic Films and Blinder Films (Ireland). The nineteen minute film ‘The Portrait’, has been written by Ewan Forster and directed by his brother Chris Forster. The film examines some complex dilemmas within three generations of one family. Through the painting of a portrait we are asked to consider: Is it ever better not to know some things than to know them? Does secrecy protect or damage those we love? Can all things be forgiven and forgotten? The films stars Joss Ackland, Juliet Stevenson, Charlotte Richie, Neil Pearson and Max Lewis. 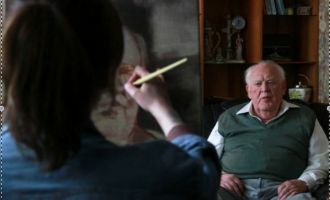 Art student Eva Burrell chooses her grandfather, German emigre Henry Winter, as the subject of a portraiture assignment in the final year of her degree. Her mother, Laura, finds it hard to disguise her reticence about the decision because Eva and her teenage brother Tom, who has cerebral palsy, are unaware of the exact details of their grandfather's wartime past. Ninety one year old Henry, who lives alone in a suburban bungalow and is only used to the regular company of his care worker, Barbara, is thrilled at the new found interest his grand daughter shows in him. 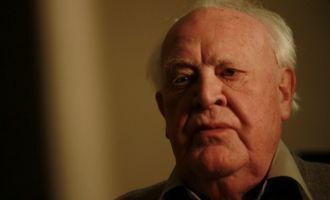 As the portrait progresses over the weeks and Eva's relationship with her grandfather develops, her attempts at re-accommodating him into family life push Laura further into a dilemma that’s plagued her ever since adolescence when her mother confided in her the nature of her father's association with the T4 Euthanasia Programme at the Psychiatric Hospital at Hadamar in Germany between 1941 and 1945. At a meal to celebrate her birthday, to which Eva has invited Henry, Laura watches with a profound envy at the good-natured informality of her children and her close friend Roger in the company of her father. Should she tell her children or allow them to live their lives without the burden of knowledge that she feels has coloured so many aspects of her adult life. Forced into a corner by her daughter's persistent questioning Laura decides it's time to finally confront her father with what she knows; a decision that will lead to Henry's death - neither murder nor suicide but a tragic ritual of retribution by consent. 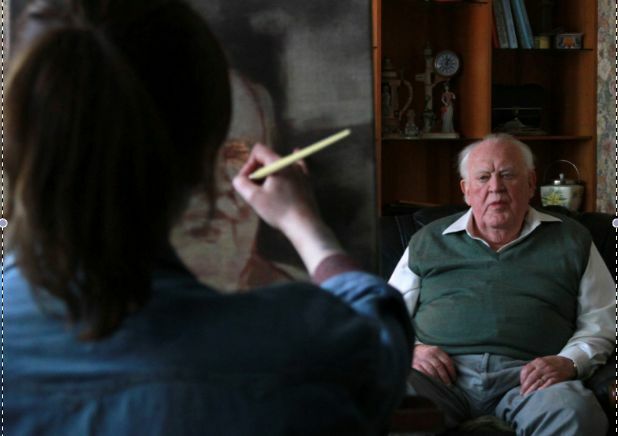 Seemingly liberated from a life of denial Laura celebrates the news that Eva’s painting of her grandfather has secured her a place at a prestigious London Art School. 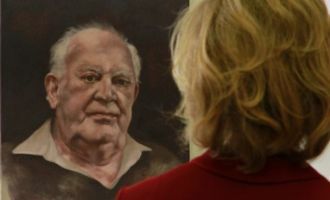 The painting of the portrait itself is a crucial part of the films unfolding narrative and we commissioned portrait painter Bee Griffith to paint it.